Mutants come in many shapes and forms, whether hideous enemies or righteous do-gooders. The latter is the case in Road to Eden, a stealth-focused adventure with turn-based combat set in the rebooted Mutant RPG universe. It follows the two mutants Dux and Bormin (a mallard and a boar) as they go on a mission in the devastated Zone to save the Ark (the last (?) refuge of free people) from Ghouls and potentially find the rumoured haven of Eden. 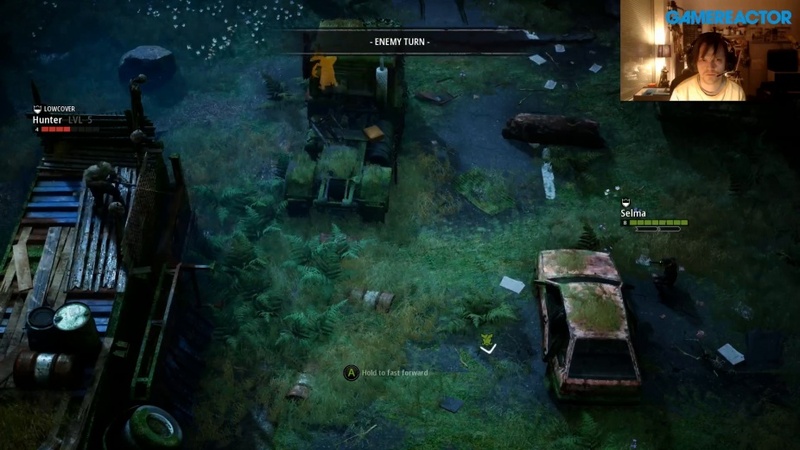 It didn't take us long to question our decision to play Mutant Year Zero: Road to Eden on hard (there are normal, hard, and very hard modes). Having to reload a save (thankfully the game auto-saves at the conclusions of each encounter), question our tactics, switch our gear around, and retry. But to be honest, the challenge is what makes the game worthwhile to play; without challenging combat encounters and levels where you need to figure out how to approach each situation and maximise the potency of your group of mutants it wouldn't be memorable at all and the normal difficulty is similar in challenge only with full recovery in between encounters. Our best moments in the game where the times when we had to rethink our strategy, maybe going loud, maybe using smoke to divide the battlefield, maybe using grenades and crowd control. We've already mentioned some of the tactical options available here. The basics are much like Xcom in combat. You have two action points per character each round, with any sort of attack or major mutation ending the turn for said character (whereas say moving or reloading takes one point). You need to manage ammunition (reload) and move around to improve your hit percentage and seek out cover. Each mutant develops mutations (basically they're skills) and can equip one major, one minor and one passive mutation. A minor mutation can be Bormin's hog rush ability that lets him run head-first into an enemy and knock them out for two rounds. Another minor mutation can be moth wings that allow certain characters to grow wings and get some elevation (to give yourself a better hit percentage with an important shot for instance). Major mutations are typically more powerful and can allow for two shots (with a -25% accuracy debuff), make you immune to damage for one round, have a secondary effect like an EMP stun, and so on and so forth. There are not too many mutations per mutant, but going in with the right build for each situation can be key to victory. Certain abilities work well together with others, and the gear you wear, and it's entirely possible to combine weapon upgrades, mutations, and headgear to give you a 100% critical hit rate in certain situations. Those dicey moments when everything is riding on hitting that 50/50 shot or getting a critical hit are definitely a highlight. It's a system where every little thing matters. An extra 25% accuracy or an extra point of damage can make all the difference. But your primary concern in stealth and making sure you limit the number of enemies you face. There's a fairly binary stealth-system in place and when you can attack a lone enemy (outside of the visual sphere of his comrades) you should, and you should keep it quiet. Take them down inside one round and your enemy cannot alert nearby associates. So each level becomes something of a puzzle where you need to figure out how to thin the herd without bringing about large-scale combat and to set yourself up so that you're abilities get to shine. 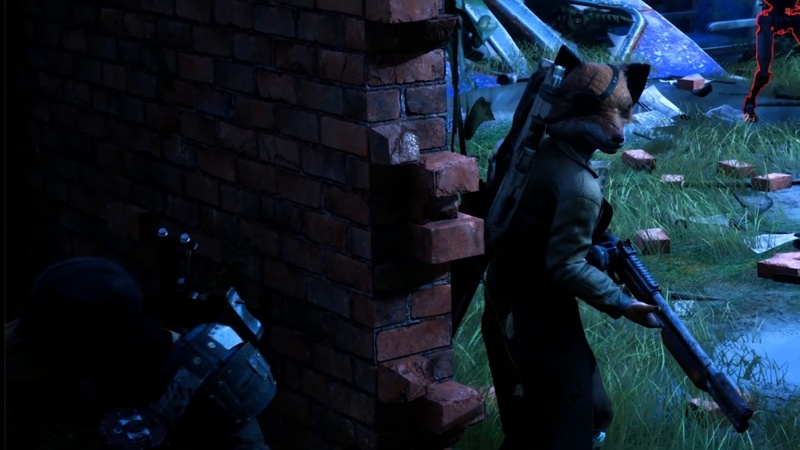 One aspect of this is the importance of splitting your group up and hiding in spots as patrolling enemies can be taken out much more cleanly this way. It's really fascinating how much tactical depth there is with very minimal tools. You will, therefore, have to try different approaches, and most of the time you'll need to be surgical and quiet, but during some enemies or encounters, you need to go in loud and hard. For instance, Bormin has an ability where he takes no damage for one round, which can come in handy if you've alerted a group. It should be noted that you are underpowered compared to your enemies; in a fight where you're even numbers, you're more than likely going to lose and well, there's barely a level where you're not outnumbered three to one, so stealth is definitely advised. The narrative sees Dux and Bormin learn more about postapocalyptic Sweden, the Zone that surrounds the safe haven they know as the Ark, and their own origins. They're stalkers and the Zone is populated with Ghouls intent on destroying the Ark, but as you'd expect there's a lot more to the story and as you progress you learn more about the fall of society, and the war that leads to the wasteland you see in the game. It's not the most fleshed out story, but characters like Dux and Bormin help give it some much-needed flavour. In total, you'll command five mutants, with Selma, Magnus and Farrow (the vixen) joining you along the adventure. It must be said that a lot of love has been poured into the details, and if you happen to know Swedish you'll no doubt enjoy the plentiful word puns on offer, and even if you don't you'll enjoy stuff like the "Borg band", headgear that lets you move four extra tiles per round (and give you that sweet Björn Borg look to boot), there are also little arcade machines to find (non-playable, understandably given the state of the world) including one with The Bearded Ladies' Landit Bandit. There's even a Ghoul who wears a tattered Lucia crown. Just listening to our mutant friends speculate on what certain things were meant to do pre-war was thoroughly enjoyable. We spent roughly 25 hours playing through the campaign, but if you're a turn-based prodigy you can likely run through in half that time. It's a decent sized campaign in other words, and you've always got the Iron Mutant mode (permadeath) if you're looking for more of a challenge. What should be noted is that while there are optional maps and missions they're not really optional as you need the experience and loot in order to progress. In that sense, it's very old school in its structure. The game is not without flaws. We encountered some issues with the camera and there was the occasional sound glitch. The menus could also do with some work and it was particularly painful shifting gear between your squad members as you pulled them in and out of duty. Every mutant has to have a primary weapon equipped even if they're out of rotation, which made shifting one of your three silent weapons a 4-5 click operation instead of simply one click. As we shifted between Bormin for ghouls and Farrow for robots (her circuit breaker ability is key here) during the second half of the game that made for a lot of unnecessary clicks. In terms of design we would have liked to have seen some kind of indicator of how far certain sounds would travel (like, say, would a nearby enemy hear a desperate hog rush or not), and it would have been interesting to have some further stealth tools at your disposal (a means to lure enemies away perhaps?). We were also somewhat disappointed to discover that none of the lovely CG seen in the announcement trailer made it into the game. Instead we're getting some admittedly lovely, but still not as powerful drawings at major story beats. Road to Eden is a game that asks a lot of you as a player. It's fairly rigid in its structure and old school in that way. However, it also rewards you as you figure things out and once we'd mastered the ins and outs of the combat system towards the latter part of the game we found ourselves savouring every combat encounter and new map we got to tackle and that speaks volumes about the experience. Challenges you to think about how to approach combat, Surprising tactical depth, An interesting story and world, Lots of attention to detail and a great synth soundtrack. One or two technical issues, Menues could do with some work, Old school structure may surprise some younger gamers.